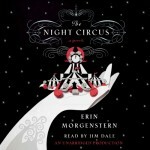 I’ve had an Audible membership for a few years now, and although I’d enjoyed audiobooks before I started my membership, it wasn’t until I started listening regularly and widely to audiobooks that I began to understand how much difference a great audio production can make when it comes to reading. I’d argue that some books only truly come alive when you hear them read aloud; humor comes across more clearly, characters become more vivid, and good books transform into great ones. 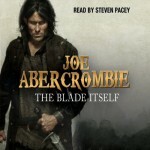 The Blade Itself was one of the first books I picked up with a credit, and Steven Pacey’s performance blew me away. Like many epic fantasy series, The First Law has a huge cast of characters, and Pacey accomplishes the rare feat of giving each character a unique voice and accent that makes them immediately stand out. After a certain point, Abercrombie could have forgone character identification and I would always have known which character was speaking. It also helps that the series is bloody, subversive and thoroughly entertaining. 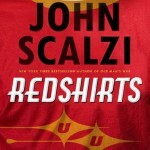 If you’re going to tell a metafictional story about a starship crew that realizes they’re actually characters on a terrible sci-fi TV show, you really can’t pick anyone else to read it but Wil Wheaton. Luckily Wheaton isn’t just a former sci-fi TV star, he’s also an excellent narrator with a flair for reading comic novels like this and Ready Player One by Ernest Cline. Wheaton doesn’t do too much with character voices, but he understands the emotional core of this and other books I’ve heard him read, and I’d easily pick up any new book read by him on that criteria alone. 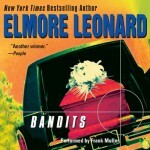 I picked Bandits because it’s one of my favorite books by Leonard, but really anything read by Muller is worth picking up. He’s the perfect narrator for Leonard’s casts of characters on both sides of the law (but usually the wrong one). Muller growls and drawls with the best of them, giving Leonard’s minimalist prose the exact right amounts of menace and wry humor. I recently went on a Leonard listening spree, and Muller immediately became one of my favorite narrators. 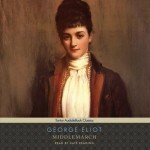 Middlemarch is a massive tome about life in a small British town at the turn of the century. One of the main characters, Dorothea, is a pious woman who enters into a loveless marriage with a shriveled old academic named Casaubon. It might seem intimidating and potentially dry, but it’s actually gently satirical, occasionally laugh-out-loud funny and wonderfully emotional. I feel like Reading’s arch delivery went a long way in aiding my comprehension and enjoyment of the book. Some of my favorite parts are her readings of Casaubon’s meandering writings. Until I listened to this audiobook, I would never have imagined that Middlemarch would become one of my all-time favorite books, but as soon as I finished, I wanted to listen to more classics. 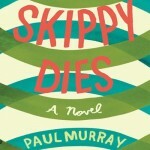 Most audiobooks have one or maybe two narrators, but Skippy Dies boasts almost a dozen men and women who play students, teachers and administrators at an Irish private school. The book is sprawling, and the huge cast of characters is well-served by the tag-team narration style. I couldn’t imagine reading this hilarious, sad story any other way. Best known for narrating the Harry Potter books and Pushing Daisies, Dale brings an impeccably British whimsy to everything he narrates. When I started my Harry Potter re-read, I decided to pick up the audio versions just so I could enjoy his narration. Dale’s narration is a perfect fit for anything with a bit of magic and humor in the mix.